Madrid U-18 has won the place for the final phase of the Euroleague junior tournament. He will fight the title with one of his best teams ever. 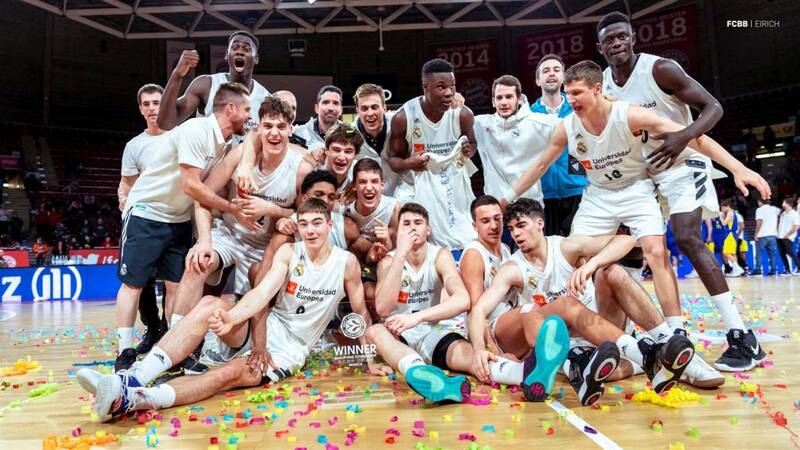 Real Madrid won the Munich Under-18 tournament on Sunday, which gives the winner a highly-anticipated place in the Euroleague final , which will be played by eight teams from May 16 to 19 in Vitoria. A competition for budding figures that was born in 2003 in Barcelona and has CSKA as the winner of the track record with three titles and Zalgiris as the club with more participation, thirteen. Barça won in 2016, Joventut in 2013 and Madrid in 2015 with Yusta and Doncic of estrella. He had just turned 16 then. The whites will aspire to a second win with one of their best teams of quarry ever, at the height of four years ago. Now with Usman Garuba, who in March will turn 17, as a reference; but with several candidates to reach the elite, which is what is involved in the categories of training. In the appointment of last weekend in Germany the word win fell short of the group led by Mariano de Pablos. Maccabi (96-58) and before Alba Berlin (111-60), Panathinaikos (98-40) and Rathiopharm Ulm (89-74) were eliminated in the final. Four victories by an average of 40 points. Physical display and waste of talent, with enough players that combine both virtues. The best example is Garuba, to which Laso, after including him in the last two preseason of the first team, has made his debut in the ACB with only 16 years, the third youngest in club history. But they are also very complete Nakic, Sylla, Tisma, Lopez de la Torre, Queeley ... A junior team that disputes the championships of its category, although during the course is foguea in the EBA, the fourth division, against seasoned veterans . Marches third in his group with the participation of two players in their thirties (Max Solé and Javier Salsón), who help in learning to the youth players, a a group with a lot of future.